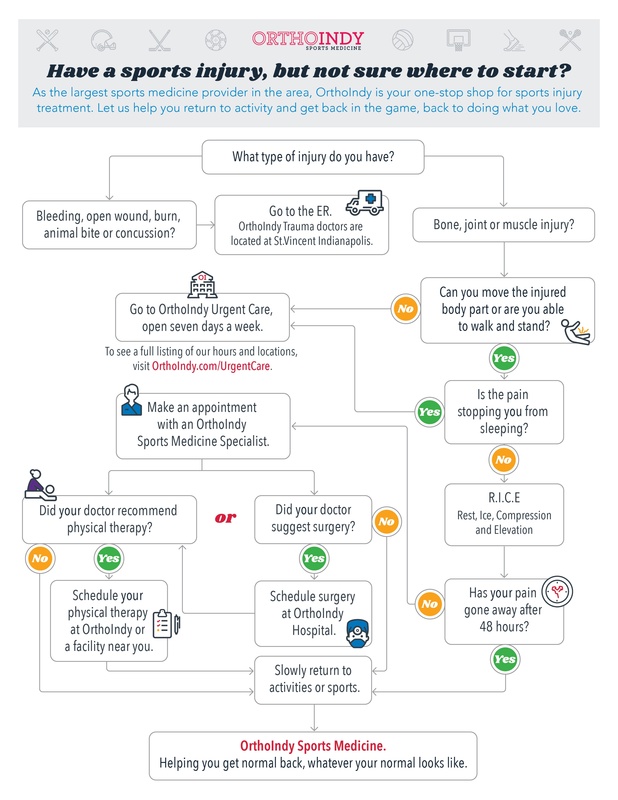 Have a sports injury, but not sure where to start? Experiencing pain from a sports injury? Let us help you return to activity and get back in the game, back to doing what you love. Don't let your pain stop you from living an active lifestyle. With so many treatment options for sports injuries, it’s hard to determine the best course of action. The first and most important step to treating your pain is to understand the type of injury you have. As the largest sports medicine provider in the area, OrthoIndy is your one-stop shop for sports injury treatment. Learn what kind of treatment might be best for your sports injury. This offer is part of the Ultimate Guide to Sports Medicine.